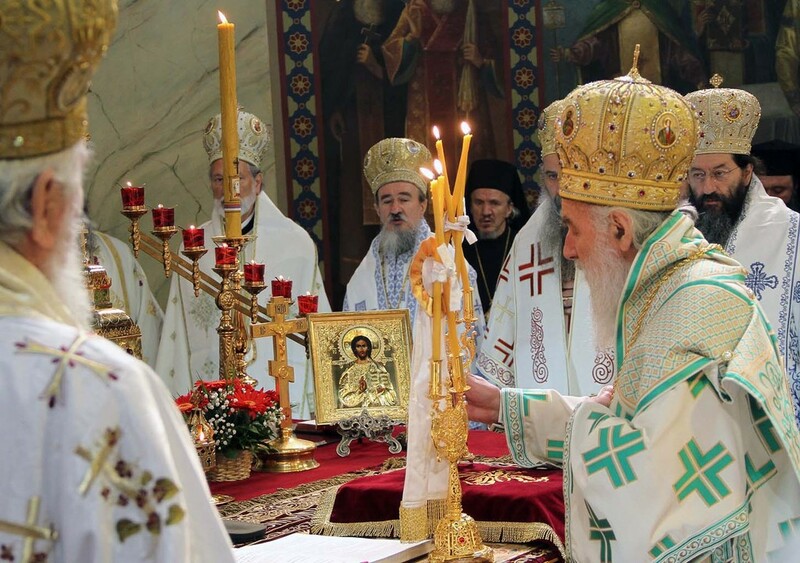 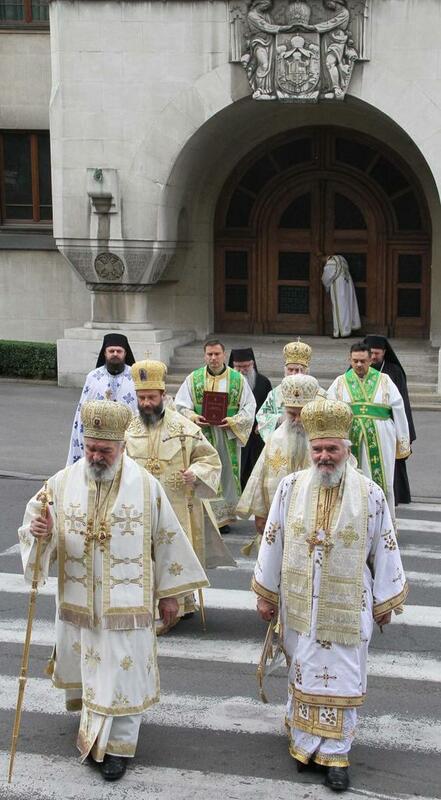 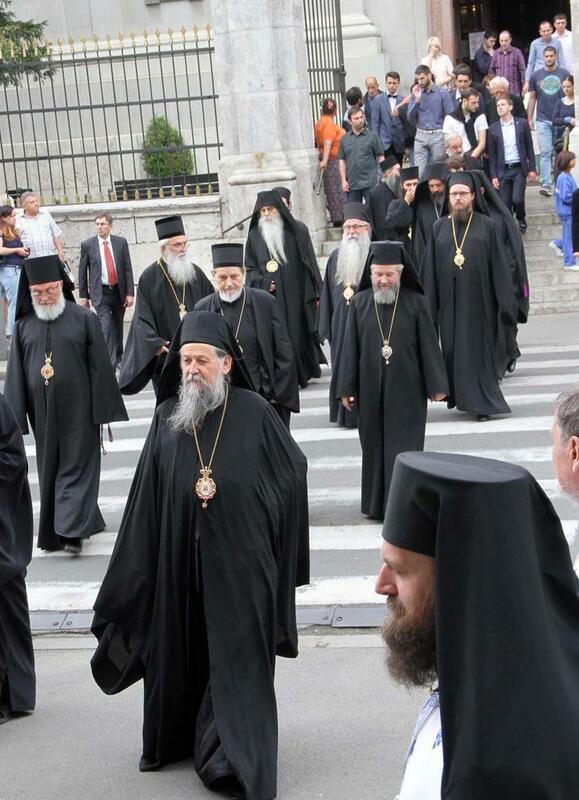 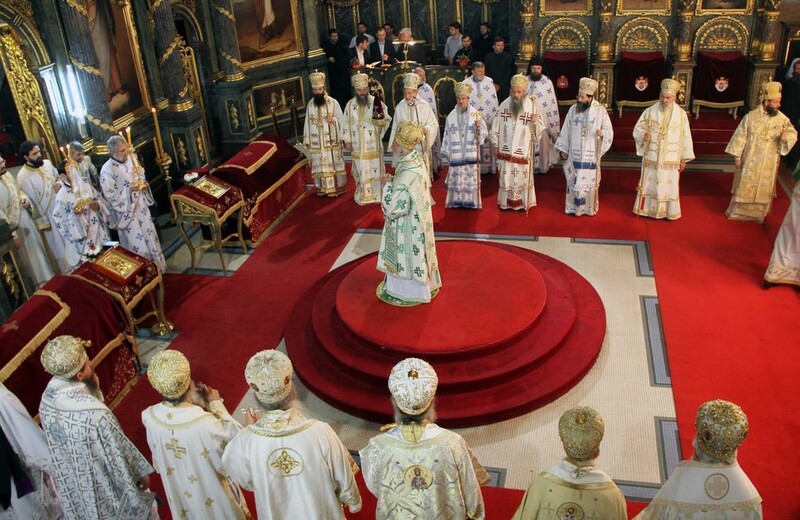 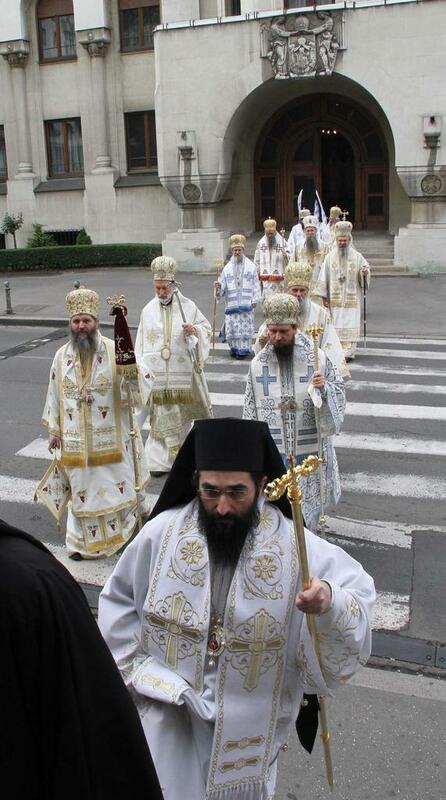 Belgrade, Serbia - The Holy Assembly of Bishops of the Serbian Orthodox Church began its work on Thursday, May 14, 2015 with the Holy Hierarchical Divine Liturgy at the St. Archangel Michael Cathedral Church in Belgrade. 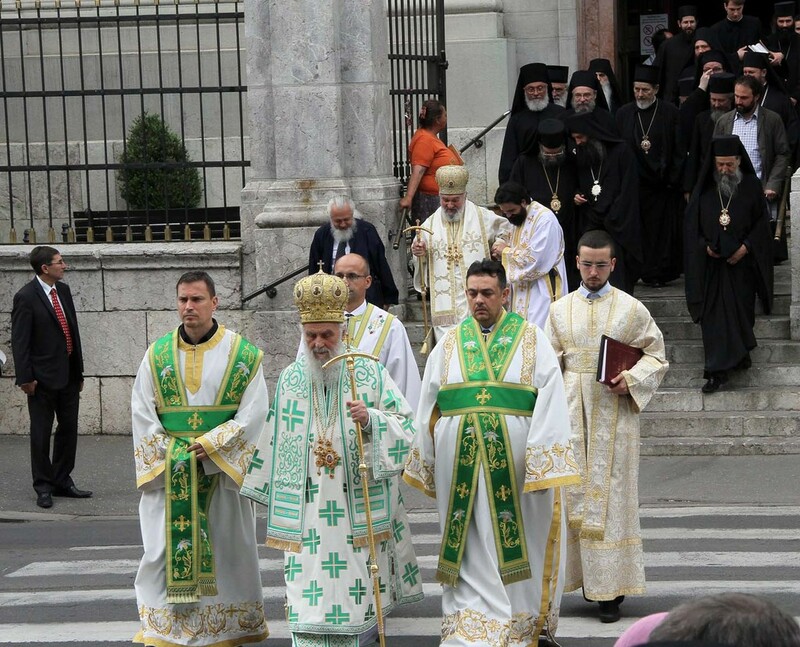 Officiating at the Divine Liturgy was His Holiness Serbian Patriarch Irinej with the concelebration of many hierarchs of the Serbian Orthodox Church. 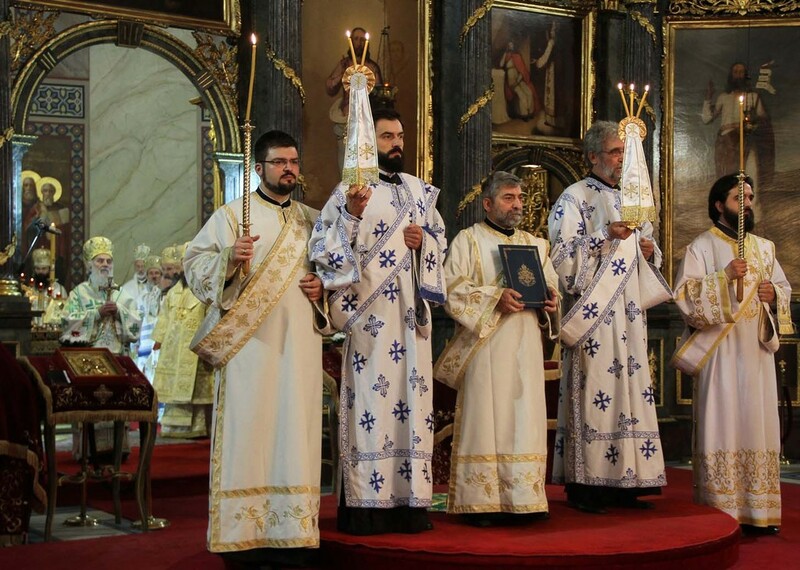 After the liturgy the rite of Invocation of the Holy Spirit was served. 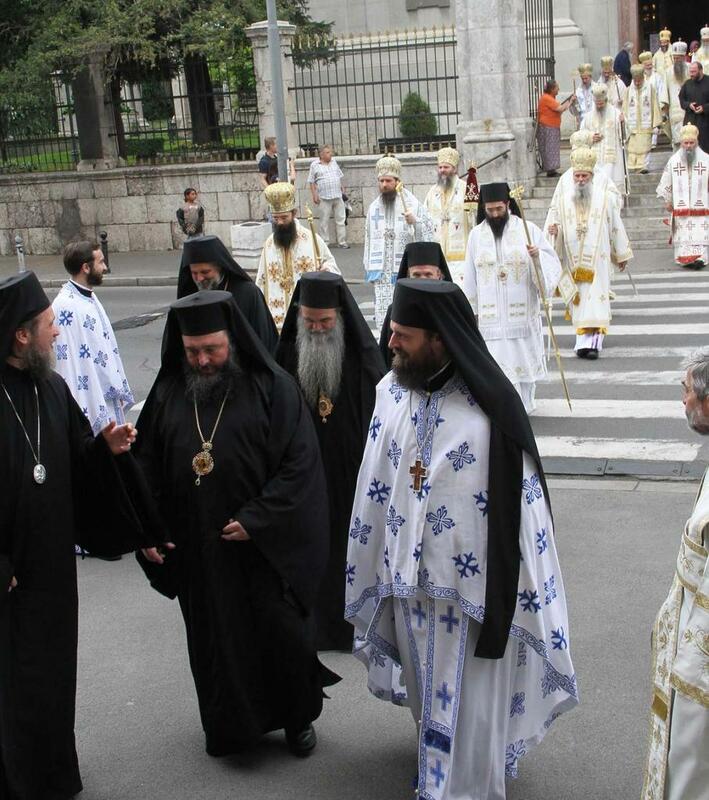 With this service this year's meeting of the Holy Assembly of Bishops began.